Home News “Manja Bole” New Chat Show on Planet Marathi ! “Manja Bole” New Chat Show on Planet Marathi ! Marathi Cinema Today has crossed the coast. Marathi cinema has been progressed in many divisions till now, whether it is scientific or in relation to the story. 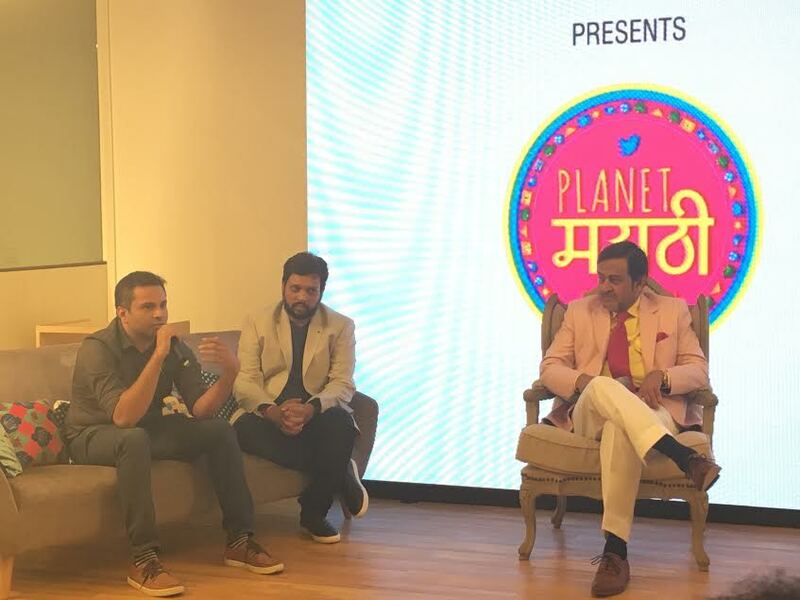 Planet Marathi Renewal has begun to get a platform on digital media for Marathi films. This idea is majorly supported by Twitter India. Planet Marathi has brought ‘Manja Bole’ program through digital media for posting artists and technicians linked to Marathi films and The films themselves. A chat show was announced in different newspapers during the press conference held in Mumbai on Twitter. Mahesh Manjrekar is the host and For the first time, we will be able to see Mahesh Mangarkar in this role. We all know Mahesh Manjrekar’s speciality in doing something out of the box. Similarly through this show he has decided to do something different straight through social media. The main aim of this show is that the Marathi movies, artists, writers will be able to speak a lot about their work. Mahesh Vaman Manjrekar is going to make every person talk on this show. The ‘Manza Bole’ program’s trailer was shown at a glance. Mahesh Manjrekar has spoken with the “Hrudayantar” film director and famous fashion designer Vikram Phadnis as well as actress Sonali Khare. Both of them gave an equally wise reply to Mahesh manjrekar’s off beat questions. Head of Tweeter India Viral Jani greeted the event. The supremo Akshay Baradpurkar said that many new ventures will be implemented on the digital platform in the future of Planet Marathi. This “Manja Bole” amazing chat show will be soon available for all the followers.